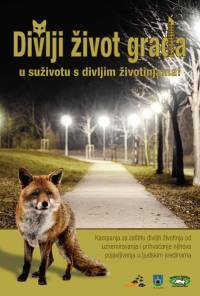 Zagreb, March 17, 2017 - Wild animals and people can and must coexist in harmony! This is the message of a big campaign launched by the Dumovec shelter for abandoned animals from Zagreb and Animal Friends, named "The wild life of the city - in harmony with wild animals." In our cities, we meet many wild animal species. They include foxes, weasels, minks, hedgehogs, and squirrels. Zagreb is inhabited by a large number of birds as well - from pigeons and sparrows, to magpies and crows, to wild ducks and swans. "There are no boundaries between nature and urban areas, which also include green oases. For this reason, we can meet many wild animals in our parks, gardens, and courtyards. 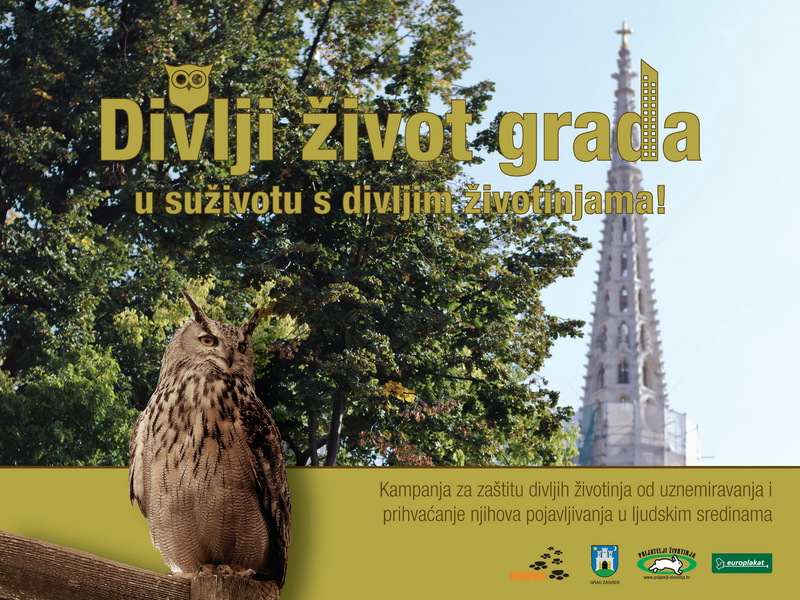 The purpose of this campaign is to educate citizens about the importance of peaceful coexistence with wildlife," said Damir Skok, director of Zagreb Zoo, the mother organization of the Dumovec Shelter. 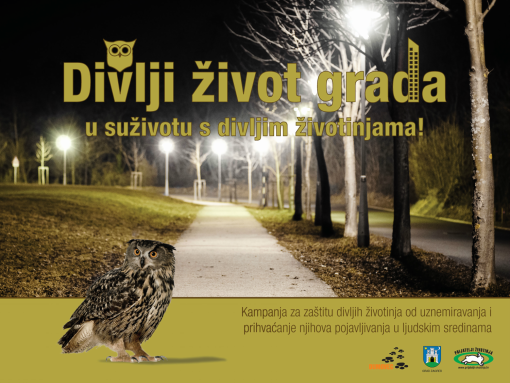 In addition to lectures and educational workshops for citizens of all ages, the campaign includes billboards that will be featured in many Croatian cities. 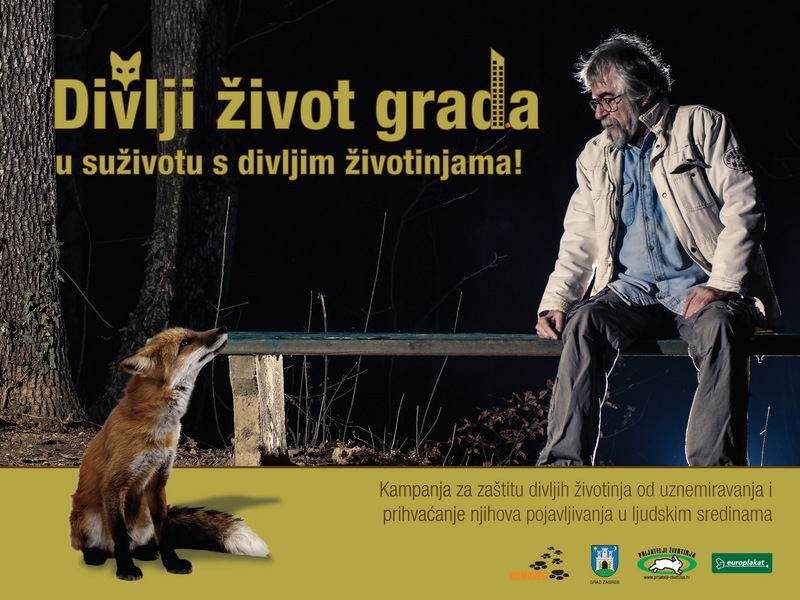 Most of the billboards are adorned with a photo of a fox taken by journalist and writer Pero Kvesic. "When people see a fox, they shouldn't immediately think of rabies. Foxes pose no threat to humans and it's natural for foxes to come to urban areas out of curiosity or hunger. Foxes can't hide as well as martens or weasels because they're bigger, nor do they tend to hide from people, especially if they are young," explains Luka Oman, president of the Animal Friends organization. Considering animals mainly come to urban areas for food, Oman is advising citizens not to exploit this fact—don't feed these animals. Wild animals shouldn't be domesticated. In the coming months, people should be extremely considerate of animals, as it's their period for breeding and rearing their young. "Animals are capable of finding food for their young ones by themselves. People shouldn’t interfere with nor disturb them! If you find an abandoned cub or a bird that has fallen out of a nest, call the emergency services," advises Tatjana Zajec, president of the Dumovec shelter for abandoned animals from Zagreb. Along with the Dumovec Shelter, other intervention services include the 112 Emergency Center and Wild Animal Care Center.